Not everyone wants to propose marriage on a beach at sunset, at a restaurant over dessert or via a made-for-Youtube extravaganza. 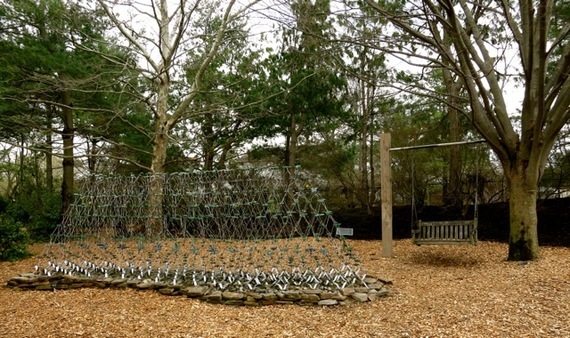 Here are ideas from Virginia to Maine for lovers of all sorts. Not everyone wants to propose marriage on a beach at sunset, at a restaurant over dessert, or via a made-for-Youtube extravaganza. Here are ideas from Virginia to Maine (yes, I know -- Virginia is not the Northeast, but I include it due to proximity to Baltimore and DC) for adventurers, art and architecture lovers -- and other lovers of all sorts. For information on what to do before or after the Big Ask, consult the Getaway Mavens here. 1. 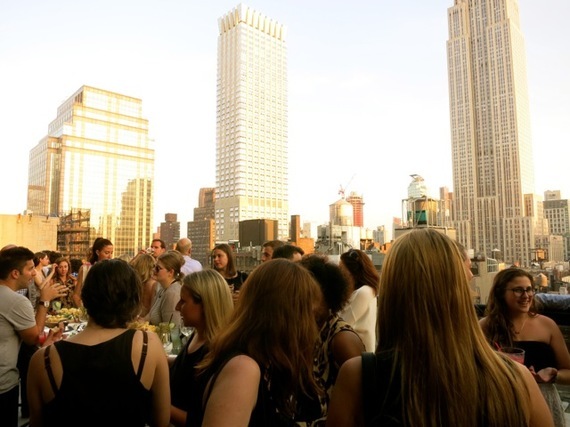 For the iconic New York romantic, ask for her/his hand while toasting unobstructed views of the Empire State Building at Spyglass Rooftop Bar. Atop the Archer Hotel, there's nothing quite like it in the area, and yes, you can reserve a room for your own private needs (say, if you want to get down on one knee without an audience). On 38th between 5th and 6th. 2. 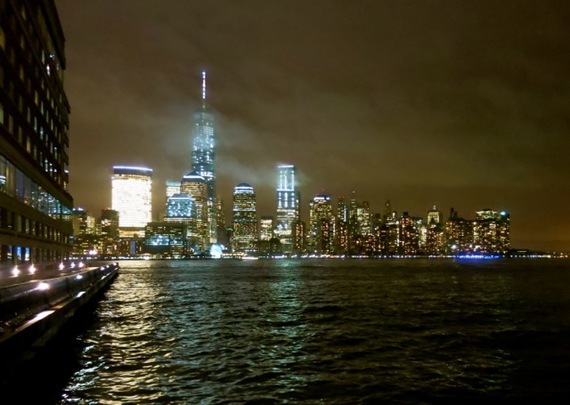 Speaking of New York romantics, sometimes you have to leave town for the very best views. Take the PATH to Jersey City, NJ, walk less than one block to the Hudson River Promenade, and even if you hadn't planned to propose right then, the vista of downtown Manhattan might just sweep you off your feet and convince you otherwise. 3. A fan of Amusement Park rides? Go for the Brass Ring of Love on The Flying Horses -- the oldest platform carousel in the U.S. -- in Oak Bluffs, Martha's Vineyard MA. You can also opt for the Oldest Wooden Roller Coaster in the world at the very modest Lakemont Amusement Park in Altoona PA.
4. 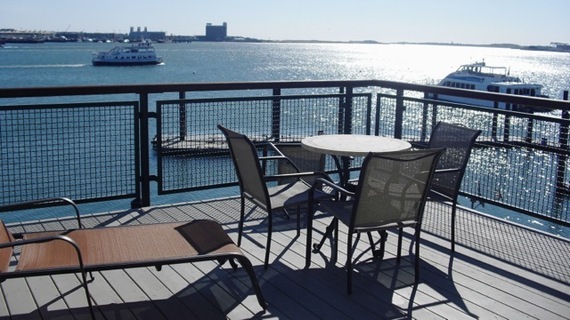 Propose on your own private deck overlooking Boston Harbor at Boston Yacht Haven Inn and Marina in Boston MA. 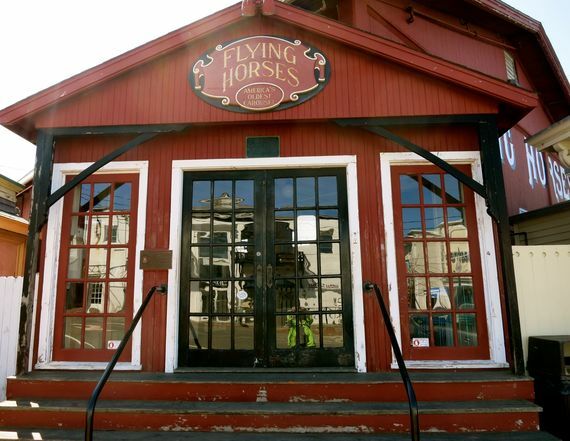 Even Bostonians don't know this place exists; right on Commercial Wharf, it's a centrally located secret. 5. 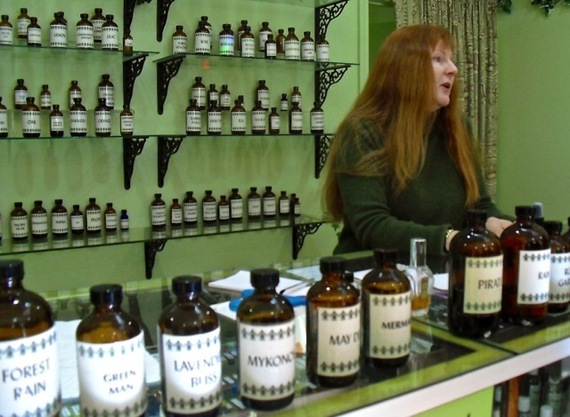 Are you a witchy woman? Bewitch your beloved by designing a custom "Marry Me" scent at Aromasanctum Perfumes in Salem, MA. 6. 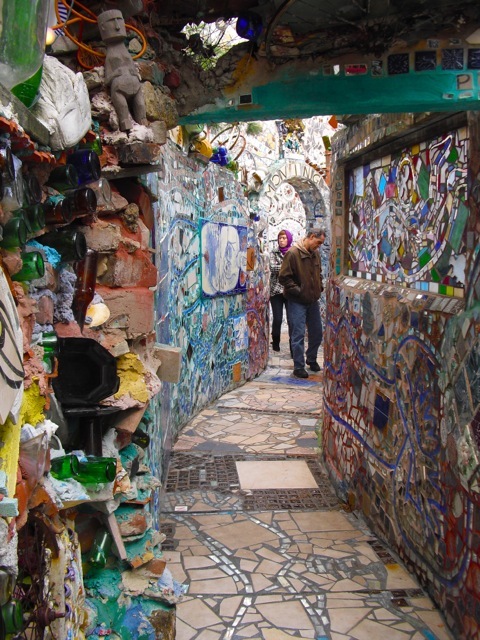 Fans of cool and funky will save The Ask for the pocket-park-dimensioned, fantastical, kaleidoscopic Philadelphia's Magic Gardens. Created from smashed glass and pottery shards, it's as tactile and optically fascinating as wall murals get. 7. Find your own secret garden and a few moments of solitude at Grounds for Sculpture in Hamilton Township NJ (near Trenton). Works of art are hidden behind bushes and within groves -- find your favorite and take out that ring. 8. Sure, you can propose beneath the pounding force of Niagara Fall's Cave of the Winds (if your ego can withstand the goofy yellow poncho), but if you love waterfalls, and actually want to hear yourself speak, bring your loved one to Watkins Glen State Park and take the well-marked trail through gorges and under streams of water: it's quietly majestic and no ponchos are required. 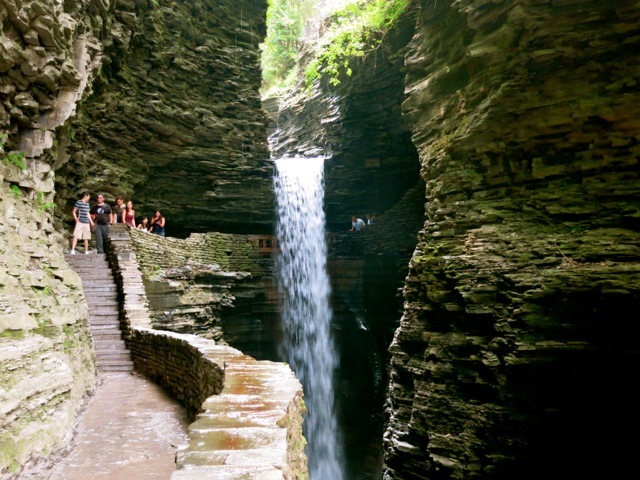 Watkins Glen, NY is on the southern end of Seneca Lake in the Finger Lakes, so toast your union afterwards at one or a few dozen wineries scattered around the region. 9. Marriage is all about building bridges. So why not start out by crossing one -- with views that will blow you away? The Brooklyn Bridge and George Washington Bridge vibrate with vehicular intensity and are perfect for city kids. 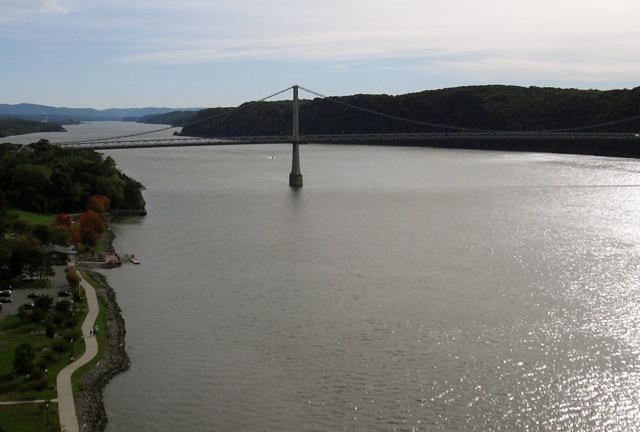 Fans of Hudson River School of Art landscapes will want to be immersed in the real thing about 80 miles north of Manhattan, where the pedestrian Walkway Over the Hudson has been enchanting lovers and other strangers since 2009. Poughkeepsie, NY. 10. Music has a tendency to bring people together. 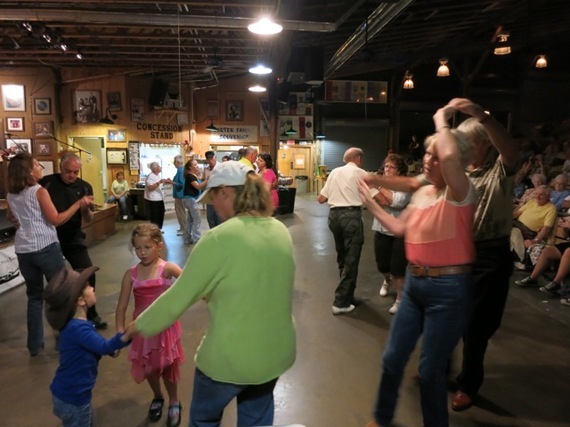 Couples bound by Country and Roots Music will want to dedicate themselves to each other in Southwestern Virginia. First, at Smithsonian affiliate The Birthplace of Country Music Museum in Bristol VA, and then in Hiltons, at the Carter Family Fold (yes, THAT Carter Family), where you can celebrate the enfolding of hearts while Flat Foot Clogging together on the worn dance floor. For a pre-honeymoon road trip, drive 333 miles on The Crooked Road, a corridor through the best small and large venues and impromptu musical gatherings in rural Virginia.